The mission of Puli Space Technologies is to develop the new techniques required to routinely send spacecraft to the Moon, to explore new frontiers, and to provide quality services for forward-thinking investors interested in commercializing space. Puli aims to demonstrate their abilities by landing a self-made probe on the Moon by 2017, thus completing the Google Lunar XPRIZE (GLXP) challenge. The Moon probe will explore the nearby area and send high-quality imagery and video recordings of its surroundings and of itself back to Earth. Based on the GLXP experience, Puli intends to become a prominent player in the growing space industry, while commercializing the probe as a vehicle used in extreme circumstances such as places struck by earthquake, and for mine detection. 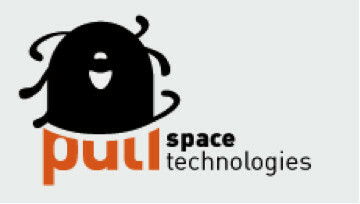 “We are looking forward to our cooperation with such an innovative company as Puli Space Technologies. We believe that the combination of their forward-thinking technologies and our substantial experience in the area of product information will result in a mutually beneficial partnership,” says György Nagy, Country Manager at Sigma Technology Hungary. For more on Puli, check http://www.pulispace.com/.